Gita Gopinath, Harvards newest tenured professor of economics says South Asian students mulling over studying economics abroad should give the US their best shot as the country has a real advantage in offering high quality education through a breadth of courses at numerous, competent institutions. She also says there are many good departments in the top 50 US universities offering strong undergrad programs apart from those at the highly coveted Ivy League schools. 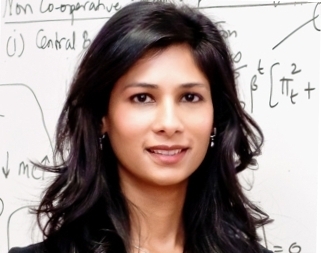 Barely 38 when she earned tenure, and the first Indian woman to obtain such a distinction at Harvard’s Economics department, Gita Gopinath is widely considered a rising star in international macroeconomics. Drawn almost by accident to the discipline, she now spearheads research in areas vital to understanding the volatile state of the world economy: the way prices of goods respond to fluctuations in exchange rates and the causes and effects of sovereign debt. Braingain’s Rajyasri Rao spoke to Gopinath and asked her what brought her to the discipline, why she recommends the US as an ideal place to pursue higher studies in economics and what drew her to investigate “an interesting puzzle” in international economics. You are the first Indian woman and the third woman with tenure in Harvard’s Department of Economics–what does the distinction mean to you? I feel immensely honoured and a little lucky to be in this position. I do not necessarily think the distinction of the being the first woman is that relevant, but I do immensely enjoy the privilege of working with brilliant colleagues and students. Did you always want to be an economist? What sorts of questions/interests drove you as a novice/student and how different are they from what you are currently focused on? "One rather surprising fact that my co-authors and I uncovered relates to how the response of prices to exchange rates, even when prices do change, depends on the currency of denomination of the price of the good." I cannot say that I always wanted to be an economist. As with most students in India who have to decide at the age of 18 what area to specialize in I came to economics almost by chance. My subjects were in Science until class 12 and then my parents figured that I should join the Indian Administrative Services for which economics was a good subject to take. So that is really how I came to it. I took my first class in economics at the Lady Sri Ram College in Delhi and it so happened that I enjoyed it immensely. Eventually I decided I was more of an academic and less of an administrator and so I stuck with it and went on to graduate school. I developed an early interest in the field of international economics and have stayed with it. One of your research areas is known to be how international prices respond to changes in exchange rates. What drew you to this area? What has your research revealed? "…emerging markets can rarely borrow externally in their own currency. This makes them far more prone to sovereign debt crisis as compared to countries that borrow in their own currency like the U.S."
There are several interesting puzzles in international economics, one of which relates to how changes in exchange rates affect relative prices across countries. I tried to understand this puzzle better by studying new data on prices of detailed goods that cross borders. One rather surprising fact that my co-authors and I uncovered relates to how the response of prices to exchange rates, even when prices do change, depends on the currency of denomination of the price of the good. That is a German firm that sells to the U.S. and denominates its prices in Euros, responds very differently to movements in the euro/dollar exchange rate compared to a German firm that sells to the U.S. but prices its product or service in dollars. Sovereign debtis another area you are known to focus on: why do you think emerging markets such as India need to be far more vigilant in how they handle it than advanced economies such as the US? 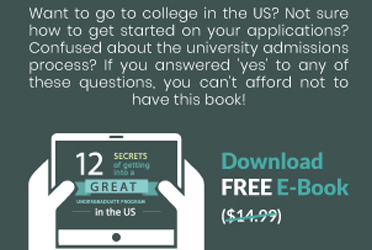 "The breadth of courses offered in the United States, including in fields that complement economics, such as applied math, surpass anything you can get even from the very best programs in India. So I would advise students that they do not need to be disappointed if they do not get into the Ivy League schools. There are many good departments in the top 50 US universities that offer strong undergraduate programs in economics." Markets work with incomplete information. Portfolio investors who invest in new markets have limited knowledge about these markets, consistent with their status of being “new’ or “emerging” markets. What this means is that investors would like to keep their investment relatively liquid in these markets so whenever they sense that events are not shaping up as expected they can withdraw their funds quickly. The limited knowledge about these markets also implies that they can be more prone to contagion as has been experienced in the past when the East Asian Crisis spread to Latin America. This is why capital flows to emerging markets tend to be very volatile. In addition emerging markets can rarely borrow externally in their own currency. This makes them far more prone to sovereign debt crisis as compared to countries that borrow in their own currency like the U.S. Now we should be careful to speak broadly about all emerging markets since there are important differences across countries. For instance, Indian sovereign debt is not held externally and several countries like Brazil are now able to raise funds externally in their own currency. Also, the most recent sovereign debt crisis is an affliction for advanced economies in the Euro zone and there are interesting lessons coming out of it. What advice do you have for aspiring students from South Asia who are mulling over studying economics abroad? I would advise them to pursue this to the best of their ability. The numbers of institutions in India that provide a good quality education in Economics are unfortunately far too few relative to the numbers of qualified applicants. The U.S. has a real advantage in this area because there are numerous institutions that can give you a good training in this field. Also, the breadth of courses offered, including in fields that complement economics, such as applied math, surpass anything you can get even from the very best programs in India. So I would advise students that they do not need to be disappointed if they do not get into the Ivy League schools. There are many good departments in the top 50 U.S. universities that offer strong undergraduate programs in economics.